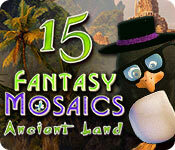 Fantasy Mosaics 15: Ancient Land Game: Enjoy new multi-color mosaic puzzles in prehistoric settings! Join the penguin family on a journey to an ancient land and discover the mysteries of the penguin ancestors in the latest mosaic adventure! This new collection of mosaics puzzles will lead you to discover the workshop of a mysterious inventor. Discover what new mosaic puzzles Santa has in store for you! Uncover images encoded in the fabric of logic in the latest Fantasy Mosaics! Help Penny explore the camp site while solving colorful mosaic puzzles! Help uncle Aaron explore the home planet of lady Una and solve new colorful puzzles! The penguins are off on a new adventure to solve colorful puzzles and find the treasure! Help Penny out of the time portal by solving new mosaic puzzles! Follow the penguins into the magical world of logic puzzles and fairytales! Help the penguins decorate for a wedding ceremony in this latest mosaic adventure! Join the penguins on a mosaic filled journey to a deserted island! Help them explore the island and solve new challenges. Join the penguins on their mosaic adventure to a magic forest! It’s Fantasy Mosaics 22! Join the penguins on their summer vacation to the South Pole. Travel with the penguins to a famous movie studio for new pixel art mosaic challenges! Travel with the penguins and solve new pixel art challenges! Join the penguin family as they travel to the edge of the world to extend the mosaics color palette! Explore a new world of pixel art puzzles in more colors than ever in Fantasy Mosaics: Explore New Colors! The penguin family is thrilled to discover a new palette of colors for mosaic puzzles! Enjoy new collection of mosaics puzzles with up to six colors! Join the penguin family on a new exciting mosaics journey! Experience this new installment of mosaics puzzles in rainbow colors! Challenge your mind with a new collection of colorful mosaic puzzles while discovering beautiful images. 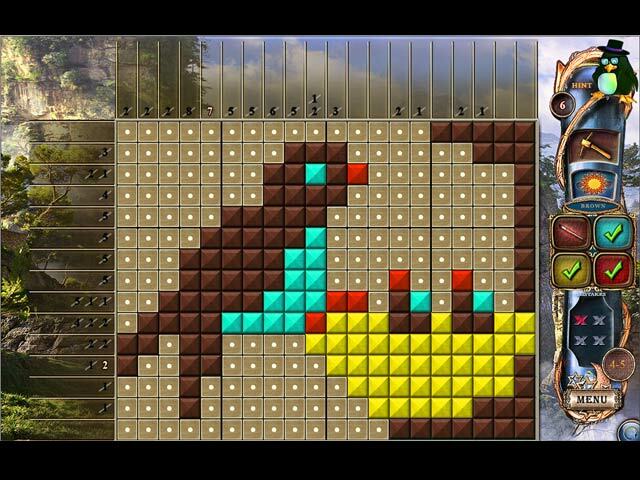 Solve a variety of multi-color mosaics puzzles in the latest installment of Fantasy Mosaics! 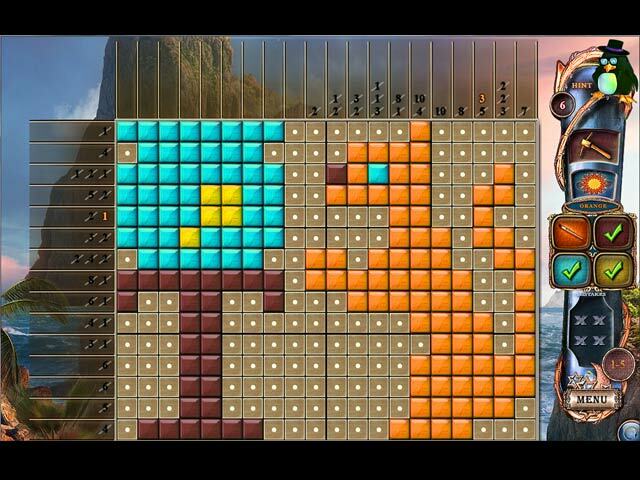 Solve a variety of puzzles while travelling across distant worlds! 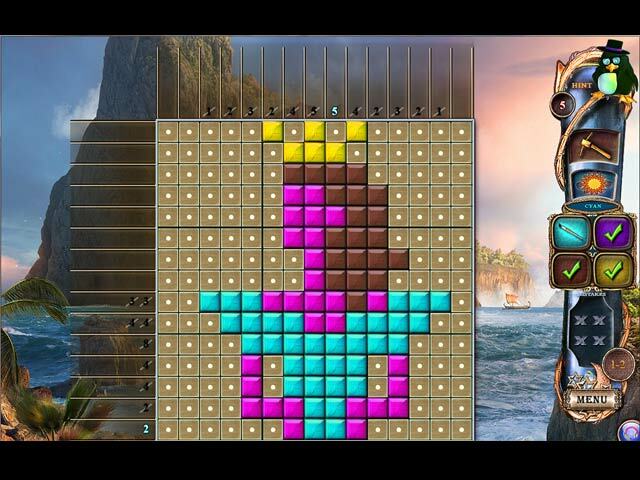 Embark on your fantasy journey to distant lands and experience this new and exciting collection of mosaic puzzles through 100 custom built levels. A series of museum robberies leads to a shocking discovery!